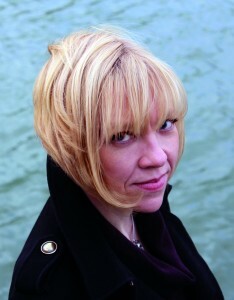 Zoë Skoulding is a poet, translator, editor and critic. She has published four collections of poetry, most recently The Museum of Disappearing Sounds (Seren, 2013), shortlisted for the Ted Hughes Award for New Work in Poetry, and Remains of a Future City (Seren, 2008). She has performed her work at many international festivals, often incorporating electronic sound in her readings as well as collaborating with musicians. Her monograph Contemporary Women’s Poetry and Urban Space: Experimental Cities was published by Palgrave Macmillan in 2013, and she was editor of Poetry Wales 2008-2014. She is Senior Lecturer in the School of English at Bangor University.